With today’s distributed, cloud-based systems and rich applications, content and data integration is a must. As organizations enable digitally-powered, multi-touchpoint customer experiences, APIs speed the integrations with back-end systems and decouple them from systems of engagement. In other words, they help you create immersive and engaging customer experiences that are fast, flexible and innovative. Despite the continued investment by large platform vendors (ex. Oracle, IBM, Adobe) to rationalize their product portfolios, every enterprise will retain some number of legacy systems that provide content and data. And even though organizational siloes are the focus for many (myself included), we can only expect to integrate siloes, not break them down. Not until the CEO steps in to define cross-department objectives and metrics that align teams will we see politics not undermine the vision of a single source of content and data truth. So, best-of-breed technology ecosystems are likely to remain the reality for some time. Especially as the venture capital community continues to fund innovation in marketing technology driving early adopters to integrate dozens of distinct systems and tools, most of them cloud based. Add Internet of Things and mobile and you have the perfect storm of integration. APIs are then the saving grace of today’s customer experience-obsessed CMOs, ROI-focused CEOs and digital transformation-minded CIOs. 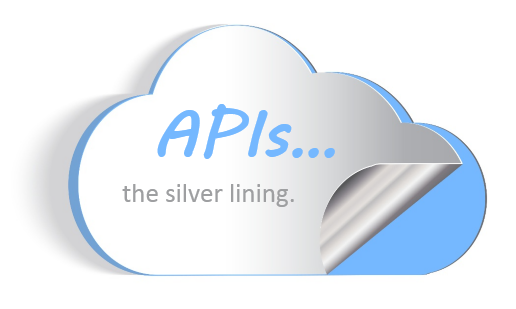 APIs are the silver lining in the world where there are no silver bullets. APIs can enable rich customer experiences, accelerate innovation, streamline dev ops, build new revenue streams and lift product value. Just because the marketing and sales team from some technology vendor tells you about their “robust” API, be suspicious and don’t assume it works as promised. One thing is certainly true, not all APIs are created equal. Some APIs expose only a portion of a systems content or data, limiting what you have access to. Make sure you ask question about uptime and performance metrics. Does their API use a CDN? Atomize processes and capabilities within an overall microservices architecture. The idea of architecting your solutions as a smaller group of individual interdependent services is becoming increasingly popular and rightfully so. But what happens when some of your services are slow either because they rely on 3rd parties or receive data from a slower legacy system. One advantage to properly architected microservices is the ability to easy scale horizontally. But, that does not help when your data source is the bottleneck. The use of a REST based API for each of your services end-points allows you to fully leverage an API engine. APIs can be much more than just internally-facing IT tools to connect applications, though these tend to be the focus of most organizations and one of the largest sources of performance hiccups. An API strategy should be built on top of the customer experience vision and include not only how your customers would access internal data and content, but also how the vision is enabled across the entire business ecosystem. To help guide business and IT professionals, Forrester has defined four types of APIs; Private, Partner, Public & Product and suggest organizations develop a strategy of each one. Currently, the greatest growth is happening in API-enabled, hybrid mobile applications that rely on external (of the app) sources of content and data. Define an organization-wide API strategy through close collaboration between developers, architects, business and customer experience. Add API capabilities with each project, rather than one massive one, as part of an overall approach to future-proof your technology and business investments. As API-centric initiatives emerge in just about every industry, a new set of challenges begins to form, API management and performance. Speed, reliability and security are critical to success with an API-driven architecture. Old API management tools are no longer effective – they were built for a different time. Many struggle to handle a little as just 200 API calls per second. Current work-arounds focus on adding expensive hardware to deal with the scale. Modern, well designed solutions can support 20,000 calls per second, or more. No, not an enterprise service bus, but the API management bus. According to a recent survey by Varnish Software (an API management vendor and Kanban partner), more than half of the respondents do not formally use an API management solution, however, the same survey highlighted that most companies reported a 10-20% monthly increase in API call volume. Modern API management tools serve as a sort of API traffic control center, from which operators can set rate limits, enforce throttling policies, define access-controls, manage consumption limits and so forth, all at a very granular level. Security, real-time reporting and throttling are the most important API management features. But mastering the basics is just as important – performance, scalability and stability. — API Caching can significantly reduce call overload and dramatically improve page speed. — Authentication and authorization features allow you to authenticate the clients requesting access to your APIs and grant access to specific APIs or API calls. — Throttling allows you to prevent external hacking and misuse of your APIs by placing hard limits on access. You can limit the number of API calls from specific clients. Throttling also lets you limit total usage towards a specific API in order to guarantee its performance. — Security features should include support for SSL/TLS to encrypt communication on both the server and client ends. — Analytics will allow you to track key metrics around usage, contributing back into the strategy feedback loop to further the value of APIs in your organization. The integration architecture space has been quiet for some time, but that is all about to change. Integration technology is about to enter a very dynamic, growth phase. Increasing transaction volumes and diminishing response times (down to real-time) between systems are the hallmarks of modern customer experiences. APIs are just one, of many, integration techniques that will make up the connective tissue of modern technology ecosystem, keeping the enterprise architect one of the most influential and important roles in software computing. With the old “system of record” boundaries giving way to “systems of insight”, “systems of engagement” and a 360 degree view of the customer, organizations have a long list of digital transformation initiatives. Though there are no silver bullets in those multi-year roadmaps, there is at least one silver lining. APIs are the opportunity to see the positive amidst a mountain of change, our very own silver lining.